Managing database performance can be frustrating when you can't get adequate details you need at the right time. When database performance problems threaten to slow the delivery of data to your users, you need to respond quickly. Getting started on the SentryOne Monitoring Mobile App is easy: Simply sign up for a SentryOne Cloud Sync account, enable Cloud Sync from the Windows client, and log into the mobile app with your Cloud Sync credentials. You'll see all monitored targets that are supported by SentryOne Cloud Sync, including SQL Server and SQL Server Analysis Services (SSAS). Three main views in the SentryOne Monitoring Mobile App give you an overview of the most actionable metrics you need to manage your data platform, including wait times, events ranked by severity, and any events that you have tagged through custom filters. The Wait Time view reports the amount of time a certain number of user sessions are waiting to be handled. The Severity Events view shows the SentryOne Environment Health Score as reported by events at each level of your environment. You can set filters from within the mobile app to customize the Tagged Events view. 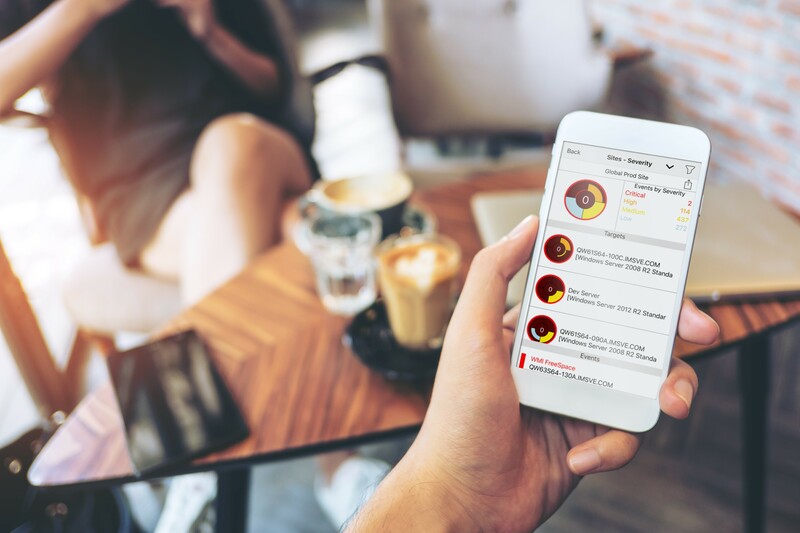 You can customize the mobile app to display the most relevant information for your environment, including flagging specific events, setting filter options, and configuring push notifications. From within the mobile app, you can flag specific events so that you can refer to them later by opening the side menu and choosing "All Flagged Events." You can also create custom filtering tags on the Windows client, and those tag filter options will appear in the app. You can customize push notifications based on specific events to ensure you receive the most relevant alerts about your environment. From within the mobile app, you can click on an event or push notification to show more details that will help you respond accordingly. Simply tap the share button to send a snapshot of your Environment Health Score to team members and leaders. The SentryOne Monitoring Mobile App gives you another way to proactively manage database performance. To get started, just grab your SentryOne Cloud Sync credentials and download the iOS or Android app from your favorite app store. SentryOne is the most capable, scalable solution for monitoring, diagnosing, and optimizing SQL Server, Azure SQL Database, and the Microsoft Data Platform. For more information, check out the SentryOne overview, drop by a public demo, or download a free trial to start proactively managing database performance.